Generally, Maximum Real Estate Services can have your property leased within 14 days or less of being on the market. However, some homes will lease quicker and some homes will take a little longer to find a qualified tenant. We will begin to market your home the moment it is rent ready! The best time to have your home on the market is before the first of the month as tenants are usually looking to make a move at the end of the month. Which means that if your house is priced right, in good showing condition and available to occupy by the 1st then there should be no reason to miss a month of rent. We will guide you to price your home right the first time so we don’t have to reduce after it is on the market. At the time you turn over your property to us to handle, we will inform you of the current market conditions, which will give everyone a better idea of market time. When you find a resident for my rental home, how do you qualify them? How quickly does Maximum Real Estate Services process monthly rents and financial statements to property owners? We pride ourselves on a quick turnaround of your rental revenue and associated financial statements. Rent from the tenant is due on the 1st on each month, late on the 5th. Once we collect the rent on your behalf it is deposited into our escrow account. It generally clears in three to five business days. We generally process your rent and a financial statement by the 10th of each month. We offer Electronic Funds Transfer (EFT) and if you opt-in to EFT your owner’s draws can be in your own bank account in as few as three business days from the time your tenants funds have cleared our bank (Bank of America). All rents are due on the 1st of every month and late on the 5th of each month. If rent is not received as scheduled we serve a late rent warning compliant with California Statute called a 3 day Pay or Quit. Tenants who have not paid rent by the 14th are served with legal paperwork to file for eviction. If a satisfactory payment arrangement cannot be made at this time with the tenant, all paperwork, including but not limited to, copies of the lease and our notices served upon the tenant are forwarded to our law firm to proceed immediately in filing an eviction action. What if I want to sell my property, can Maximum Real Estate Services help? Absolutely!! 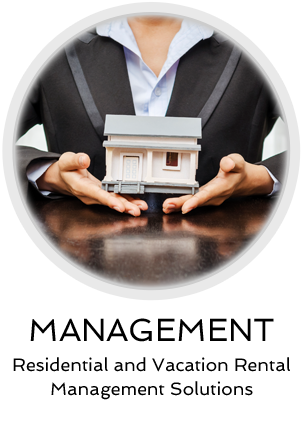 All our property managers are licensed Real Estate Agents that would be more than glad to help you by providing you with all the information needed to help make your decision to list your property. We are here to serve YOU! Please note, if you were referred to Maximum Real Estate Services by a real estate agent or broker, we may have an agreement to refer you back to that broker for the sale of your property. Should any tenant that we place into your rental home move out and break their lease (for any reason) during the first 6 months of their lease, we will waive our normal leasing commission and re-rent your home to a new qualified tenant at no charge! Is Maximum Real Estate Services the cheapest company in town? Probably not. It seems there is a new property management company starting out every day, trying to beat everyone else price. Our fees are very competitive and we certainly are NOT the most expensive. On the other hand, we charge a fair fee for a tremendous service. •	Developing personal relationships with our customers. •	Email, text and cell phone dispatched agents for the showing of your properties. •	Photo and/or videotaped property inspections. •	Our extremely careful tenant selection process. •	Our leasing fee/tenant guarantee. •	We show properties by appointment 6 days a week. At Maximum Real Estate Services, we assist our property owners and residents by having independent qualified maintenance technicians do all necessary repairs. To avoid a conflict of interest with our property owners, we do not access a surcharge to our owners on any maintenance or repair items and we ask that your tenants request all maintenance items in writing. In fact, work orders and repair requests can be generated right from this website that both our property owners, tenants and vendors can use to track the progress of the ‘fix’. We want to be right on target when meeting your expectations. The purpose of this section is to present the benefits our property owners can expect to receive from Maximum Real Estate Services. When establishing a personal relationship with our customers, it is important that each party understands exactly what is expected of the other. Our primary objective is to attain the goals and objectives of our customers and their rental properties. We believe that familiarizing you with our process of how we lease and manage your rental property, we can avoid surprises that could occur later on. It is important that you realize that we will move forward with our administrative process as outlined herein, unless you otherwise direct us in writing. Therefore it is to your benefit to review and understand the following services that are automatically provided and instituted by Maximum Real Estate Services for the benefit of you and your Property. Visit our Management Page to learn more. How often and how are the property inspections conducted? When your property is vacant we generally inspect it at least bi-weekly. The next inspection is done prior to residents moving in. This is known as the “move-in inspection”, where we detail the condition of your property including photos or video. We inspect the exterior of our properties on a periodic basis and we also conduct other inspections when requested (inspection fees may apply), or if we determine that checking the property out is warranted. Within 90 days after the residents move in, we contact them to ensure all is well with your property and your tenants. When the residents move out of your property we do another detailed inspection known as the “move-out inspection”. The move out inspection is done to ensure that the tenants return your rental home back to the condition they leased it in. Pictures and/or video taken on the move-in inspection are compared. If any damages are found, we will impose a claim on the tenant’s security deposit as required by the California Landlord/Tenant Laws. If no damage is found, then we promptly return the security deposit to the former residents as well as complete the appropriate documentation required under California Statute.